Modeled after Jeopardy, the A-Team Challenge is a single-elimination academic competition developed by The Foundation and NBC-2. The purpose of the A-Team Challenge is to encourage, promote and spotlight academic achievement and excellence among area high school students. A team of high school students from each school within a six-county area compete with each other answering questions under the categories of Science, Math, Arts & Humanities, Language Arts, Social Studies, and General Knowledge. Both public and private schools are invited to compete, with each participating school entering four team players and four team alternates. The Champion team receives a traveling trophy for their school and individual trophies for each player. 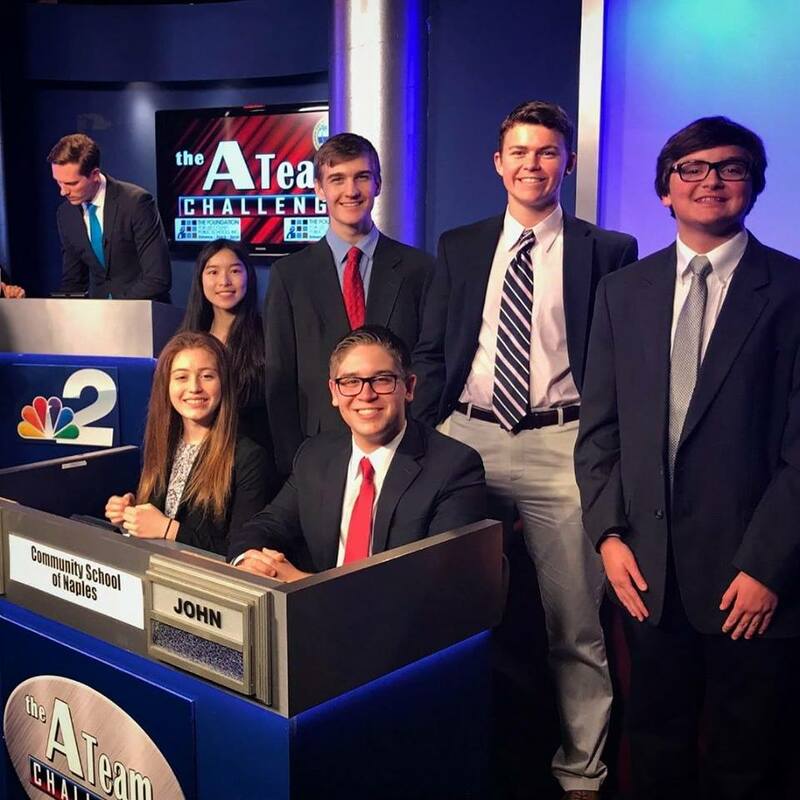 Filmed and produced within the Lee County School District’s Communications & Production Department, the A-Team Challenge is the only televised high school academic competition in Florida on a national affiliate. The production has enabled The Foundation to expand its curriculum by offering students interested in audio and television production an opportunity to work first-hand with the Lee County School District and NBC-2 producers.